Uninhabited because of its granitic and rugged nature, it has an almost circular shape, with few coves and countless sandy bays. Spargi is located across the western coasts of the Maddalena, and is the third largest island of the Maddalena Archipelago National Park, with a surface of over four square kilometres. It is accompanied by its “smaller sister”, Spargiotto, where rare bird species nest: European shags, Audouin’s gulls and European storm petrels. Not too far west rises the Spartigiotello cliff and its shallows, split in half by a sand channel, a paradise for divers. The seabed is surprising: large underwater attractions include the Washington shallows, Punta Zanotto, coloured red by soft corals, and Spargi wreck, a Roman craft (35 metres long) dated 2nd century BC, discovered in 1939. Part of its load is in exhibition at the Nino Lamboglia Museum in the Maddalena. 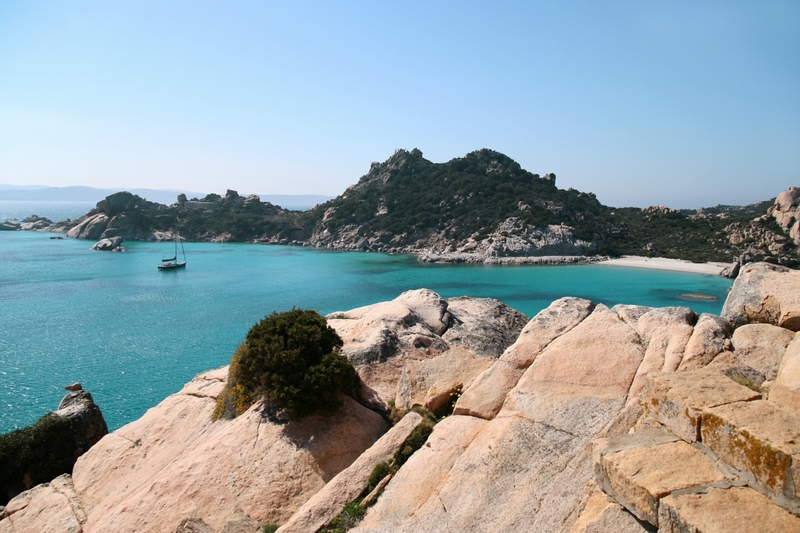 To reach the island and islet, take private or rented boats or go on a guided excursion leaving from the Emerald Coast, La Maddalena, Palau and Santa Teresa Gallura. 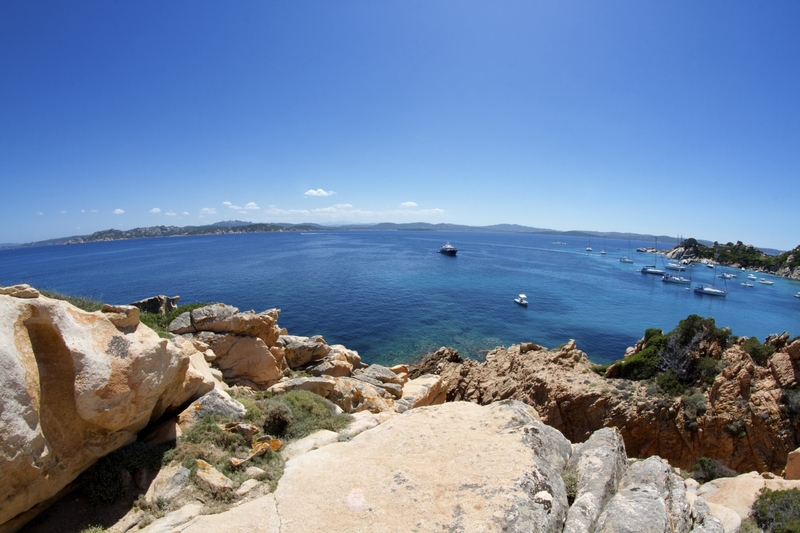 Sgargi is particularly beautiful from its southern and eastern sides, where there are beaches of white sand: the turquoise reflections of Cala Corsara, the crystalline luminosity of Cala Soraya, Cala Conneri (also called Cala dell’Amore) and Cala Granara. Little coves lined with rocks sculpted by time and vegetation that grows all the way down to the shoreline are abundant in the north (Cala Pietranera) and west (Cara Piscioli). The hinterland is almost impossible to access, covered in cistus, giant strawberry trees, juniper trees and mastics. In the early 19th century, a famous episode confirmed this particularity: Natale Berretta hid here to avoid being arrested, and managed to elude inspections. Once he was proved innocent, he decided to continue living there with his family. In the 20th century, the island was a military base during both world wars. Today its fortified bases are local attractions: in particular, Fort Zanotti is located on its northern part, overhanging the sea, hidden among granite and vegetation. The old military port of Cala Granu and other former military seats are in the northwest of the island. Spargi si trova a​d ovest de L​a Maddalena, ​all’interno dell’Arcipelago de La Maddalena. L'isola è raggiungibile con imbarcazioni private noleggiabili, o durante alcune gite in barca offerte da privati, partendo dai porti più vicini di La Maddalena e della Costa Smeralda.